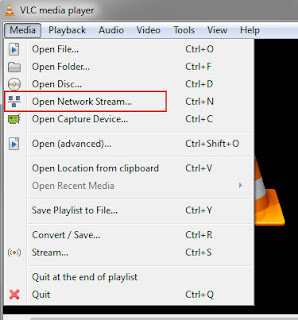 Step 2: Open VLC player. Click on Media menu and then choose “Open Network Stream”. The shortcut key for this is Ctrl + N.
Step 3: Paste the video URL in the text box and click on the “Play” button.